Hull was moulded in 2001 and fitted out in 2007, since fit out she has been lightly used as demonstrated by the engine hours, having viewed the boat she is like new and represents a unique opportunity to acquire a 'like new' boat at a fraction of the new price. 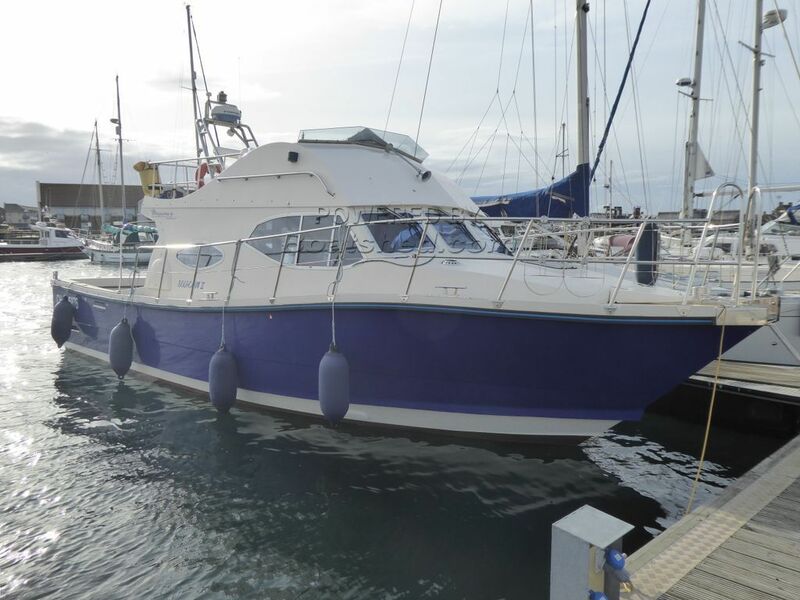 The Interceptor 38 has the following features - Ample accommodation with 3-4 berths, large main cabin with plenty of seating, galley, separate heads compartment and locker space. The aft cockpit has a flush deck and with 12ft of beam there is more than enough room for angling diving etc. Deep V variable deadrise hull design with 26 degrees midships, 47 at the bow and 18 at the transom allowing for higher speeds to be maintained in rough offshore conditions without the uncomfortable slamming of hulls with shallower deadrise. This Interceptor 38 has been personally photographed and viewed by Peter Lammiman of Boatshed Yorkshire. Click here for contact details.